Arthipo is below the rules of selling works for artists or works owners. 1. Arthipo adds 20% commission to all work sales. 2. All sales are subject to local 18% Value Added Tax (VAT). The amount of the sale price of the work to be made of the artist is deducted from the amount of the tax, and the amount is paid to the state as tax. 3. The packaging of the work is carried out by the artist or the works owner. 4. In the event that the submitted work does not carry the features declared by the artist or the owner on the site, all costs and damages incurred may be borne by the artist or the owner of the work selling the work. Qualifications of the work; canvas, paper, press canvas, etc. used in drawing the work; oil painting, acrylic, watercolor, etc., the dimensions of the work, the frame status, etc. are entered correctly on the site, the artist or the owner of the work selling the work is responsible. 5. Transmission of works will be carried out through the cargo companies Arthipo agrees to. The sender fee is paid by the owner or the artist. Arthipo cargo charges may be incurred in overseas sales, which may vary depending on the continent or country to which the work is sent. 6. 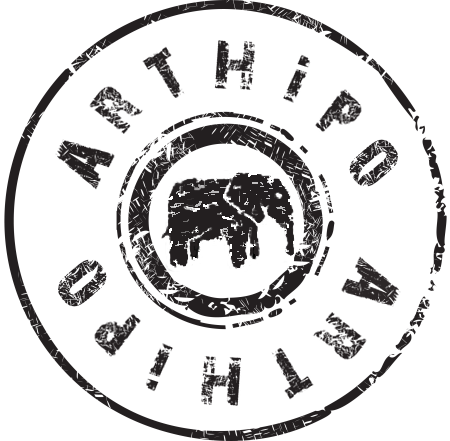 Arthipo shall not be held responsible for damages caused by improper packaging. Any costs arising from the elimination of damages shall be borne by the selling artist or the owner of the work. 7. After the delivery of the purchased piece to the customer, the process of payment of the cost of the work to the artist or the owner of the work begins. Payment is made to the Bank IBAN numbers or bank account numbers. When necessary, payment methods such as PTT Reverse, Western Union are used, in which case the transfer fee is paid by the owner who sells the transfer fee. 8. Arthipo may publish the uploaded works in printed publications such as websites, social networks, catalogs, or in digital media, and no copyright fee can be claimed. When artwork is added on the artist or the worker Arthipo, it gives Arthipo the right to broadcast. The artist is paid at the end of the payment period, one payment period is one week, during which the banks block the purchase of virtual pos, all banks apply this procedure in e-commerce, but at the end of the period the sale prices are transferred to the account of the artist and transferred. 9. In order for your profile to be able to enter the publication, you must provide your biographical entry from the profile section and add at least one work. 10. All transactions on Arthipo are encrypted with 256 bit SSL. Arthipo does not hold any credit card information records, credit card purchase is done with 3D Secure feature and SMS verification via Banks. Arthipo may request additional obligations when necessary. All members selling the work are deemed to have accepted these obligations. You are reading this article to determine the price of the work.